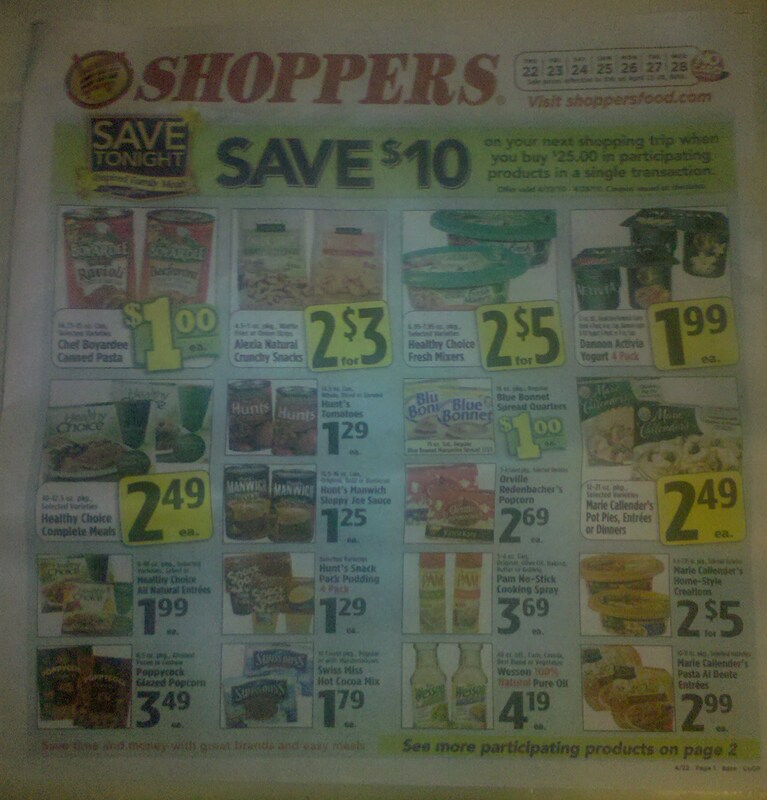 Shoppers Update – 4/22/10-4/28/10 – Promotion Spend $25 get $10 back! Received 2 $5 coupons to use on my next trip. It states I can only use 2 coupons during each visit/transaction. However, it is pretty cool that 2 $5 coupons print out because that means I DON’T have to spend $10 on a transaction! 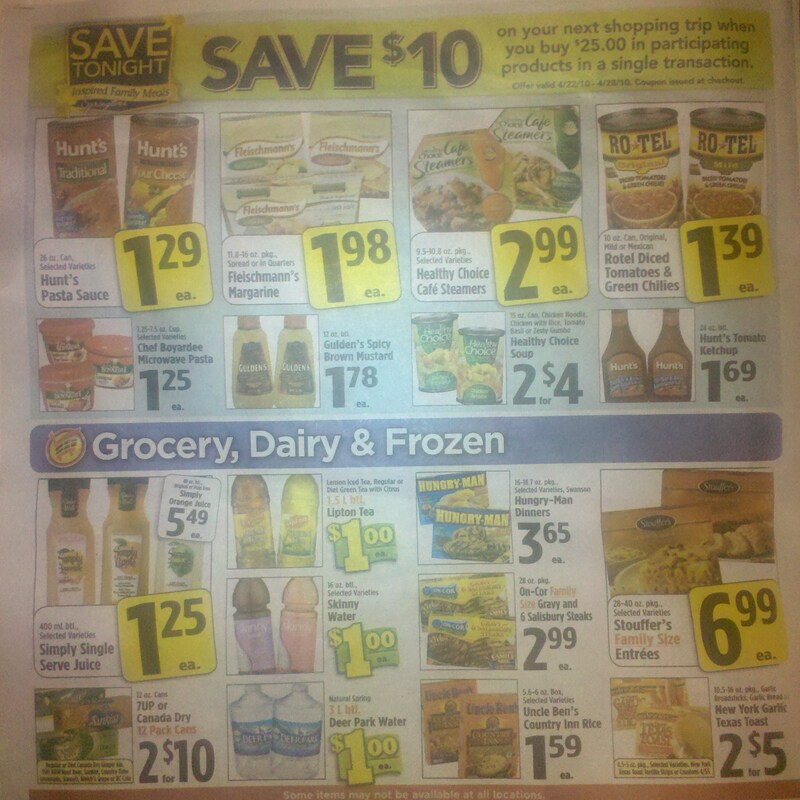 If you can get to Shoppers tomorrow which is after the double and triple coupon event you can still get some good eals. Did you go to Shoppers? Are there any other deals that I missed? Please comment! ooh! i just noticed (when I zoomed in on the ad!) that the Pam cooking spray includes the high-heat “Grilling” spray–which is very timely right now! i need some for the grill! between that and the healthy choice items, i can easily rack up $25! i LOVE those cafe steamers! wow! so the $25 is BEFORE coupons! that’s really cool! i’m very torn between that and HT triples! It’s exactly like doing the Giant Catalina deal.